Apps have never been so popular, with some attracting hundreds of thousands of downloads in a matter of days and offering growth that you just can’t achieve with a website. Growth attracts investors; hunger for a quick return on their cash and this is initially what led up to the dotcom crash back in 2000. Is the same fate on the horizon for the app ecosystem? The answer is we don’t know, investors don’t know and app developers don’t know. If we look back to the dotcom bubble, it was caused by a combination of market confidence that the companies would EVENTUALLY return future profits that would be significant. Venture capital companies got greedy, started to speculate (which inflated stock prices higher) and with so many people caught up in the hype, traditional metrics for valuing a company were overlooked. Is this happening with some apps? The most difficult aspect for any app developer driving significant downloads – making money from it then comes second as they hope that they will find a way to make money from their huge user-base. Many turn to in-app ads and the freemium model – essentially providing a free version, which can then be upgraded. Others turn to subscription models, whilst others try native advertising (including relevant adds and text links within the content). In many cases it works, returning huge returns for the venture capitalists prepared to take a risk and invest, as well as for the app developer who’s spent month’s of their life on 4 hours sleep a night. In other cases though, hype starts to drop, downloads remain static and it becomes pretty clear that the userbase can’t be used to make money. The investors then have nowhere to turn, but to their healthier investments to prop-up the bank balance. This article was written because of a recent article about a potential security flaw with the increasingly popular ‘Yo’ app, which within months of launch has received investment and is now valued at $1 million. 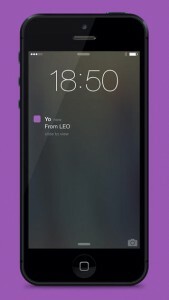 The app is simple to say the least, simply sending a ‘Yo’ message (text and voice recording) to a user. Arbel, the founder, claimed it took him eight hours to create – not bad going if you can create such value in the space of a day and something millions of us can only dream of. Unsurprisingly, Arbel has big plans for future development of the Yo app, with Yo’s already being sent as alerts for each World Cup goal scored.